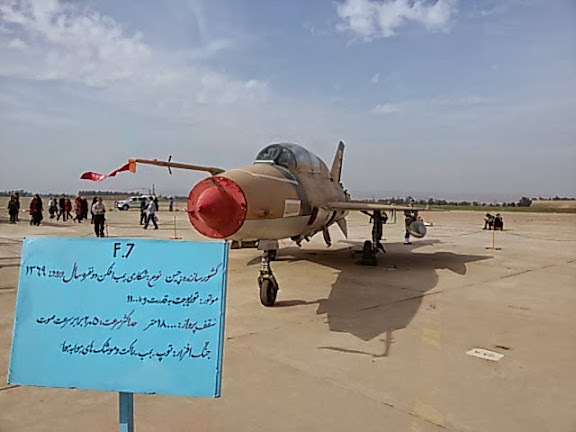 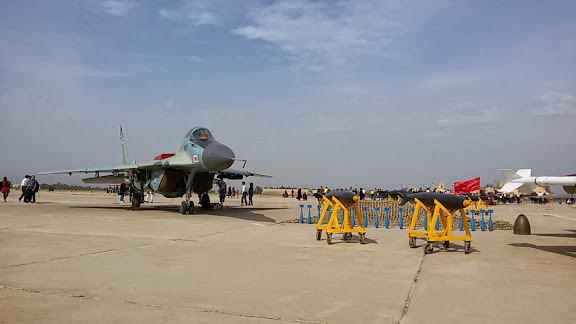 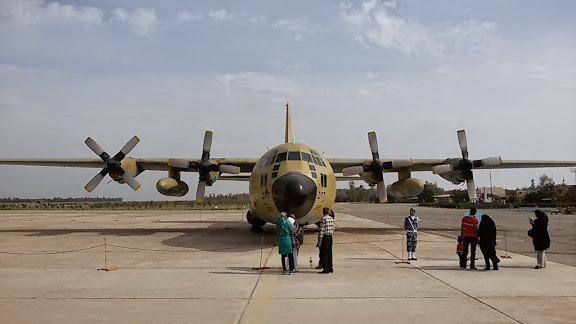 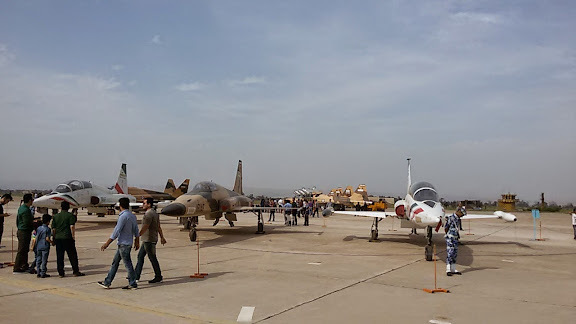 Display of IRIAF Northrup F-5 fighter-bomber type aircraft, including HESA F-5B Simorgh ("Phoenix") variants (in tricolor scheme) from 85th TFS at Isfahan/Shaheed Beheshti TFB-8. 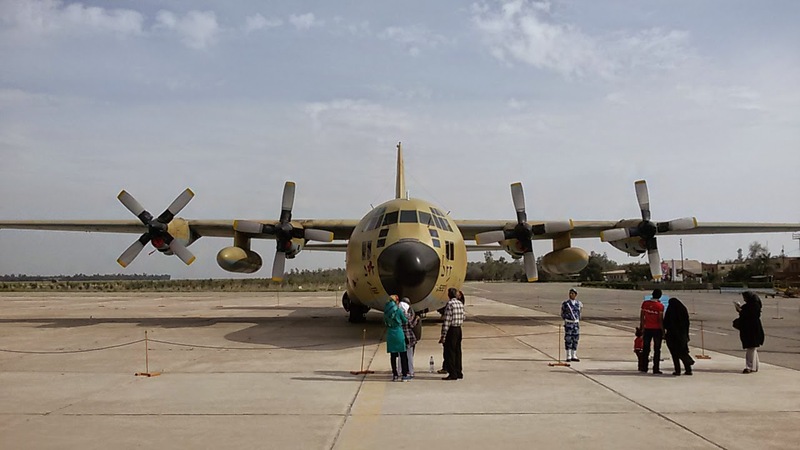 IRIAF HESA F-5F Saeghe II ("Thunderbolt II") two-seater fighter-bomber and advanced trainer, serial 3-7182 from 23rd TFS at Tabriz/Shaheed Fakouri TFB-2. 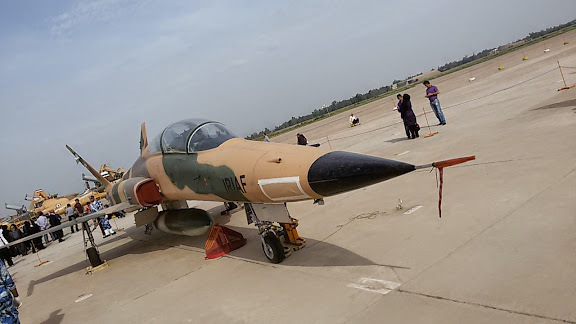 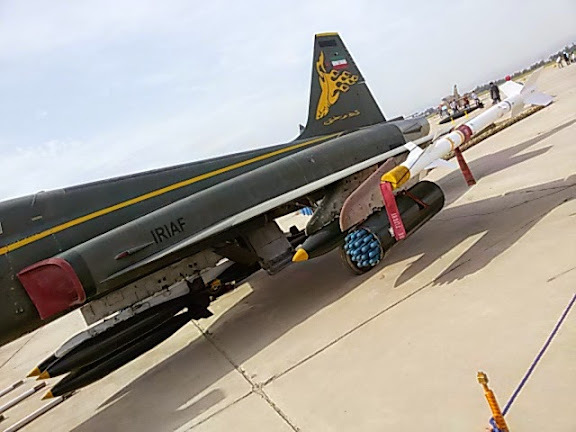 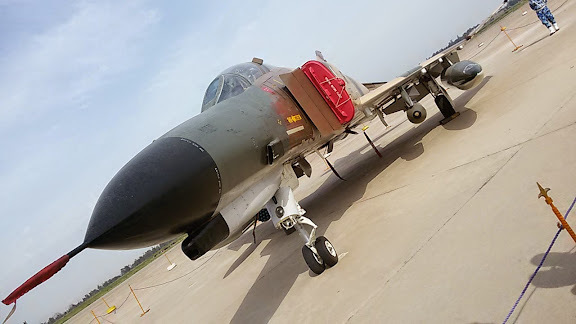 IRIAF Northrop (Owj) F-5E Azarakhsh ("Lightning") fighter-bomber fitted with Mk 80 series bombs, LAU-5003 rocket launcher and AIM-9 type Sidewinder air-to-air missile. 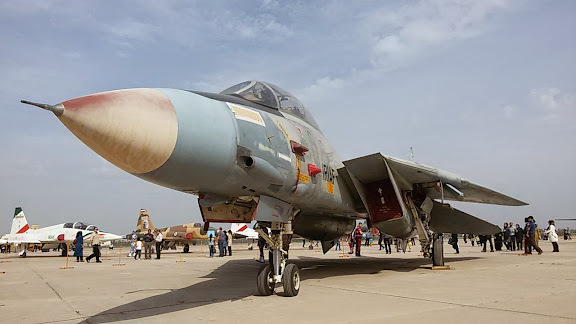 IRIAF Mikoyan-Gurevich MiG-29A (9-12A) "Fulcrum-A" fighter, from 11th TFS at Tehran/Mehrabad TFB-1. this is of no interest in comparison to the air show in Yemen.